Berthoin, S., Baquet, G., Dupont, G., Blondel, N., & Mucci, P. (2003). Critical velocity and anaerobic distance capacity in prepubertal children. Canadian Journal of Applied Physiology, 28(4), 561-575. Bosquet, L., Duchene, A., Lecot, F., Dupont, G., & Leger, L. (2006). Vmax estimate from three-parameter critical velocity models: validity and impact on 800m running performance prediction. European Journal of Applied Physiology, 97, 34-42. Bosquet, L., Delhors, P. R., Duchene, A., Dupont, G., & Leger, L. (2007). Anaerobic running capacity determined from a 3-parameter systems model: relationship with other anaerobic indices and with running performance in the 800 m-Run. International Journal of Sports Medicine, 28, 495-500. Bull, A. J., Housh, T. J., Johnson, G. O., & Rana, S. R. (2008). Physiological responses at five estimates of critical velocity. European Journal of Applied Physiology, 102, 711-720. Fukuda, D. H., Smith, A. E., Kendall, K. L., Dwyer, T. R., Kerksick, C. M., Beck, T. W., Cramer, J. T., & Stout, J. R. (2010). 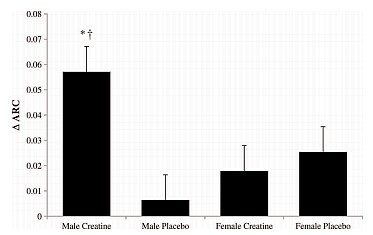 The effects of creatine loading and gender on anaerobic running capacity. Journal of Strength and Conditioning Research, 24(7), 1826-1833. Housh, T. J., Cramer, J. T., Bull, A. J., Johnson, G. O., & Housh, D. J. (2001). The effect of mathematical modeling on critical velocity. European Journal of Applied Physiology, 84, 469-475. Zacca, R., Wenzel, B. M., Piccin, J. S., Marcilio, N. R., Lopes, A. L., & Castro, F. A. S. (2010). Critical velocity, anaerobic distance capacity, maximal instantaneous velocity and aerobic inertia in sprint and endurance young swimmers. European Journal of Applied Physiology, 110, 121-131. Zagatto, A. M., Kalva-Filho, C. A., & Loures, J. P. (2013). Anaerobic running capacity determined from the critical velocity model is not significantly associated with maximal accumulated oxygen deficit in army runners. Science & Sports, 28(6), e159-e165.